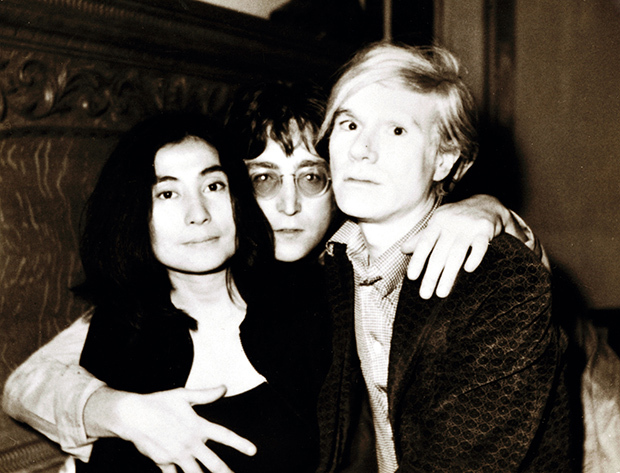 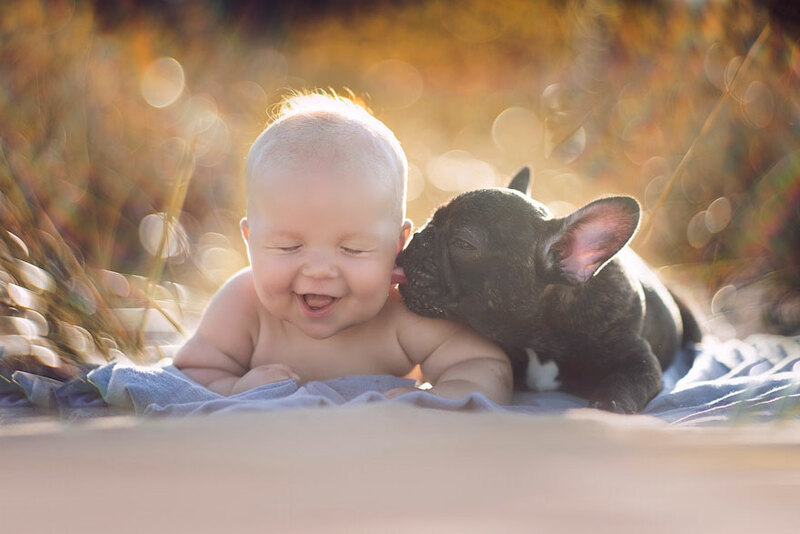 If there’s been a while since you had a cuteness overdose, prepare to have one, as this article includes the sweetest photos ever seen. 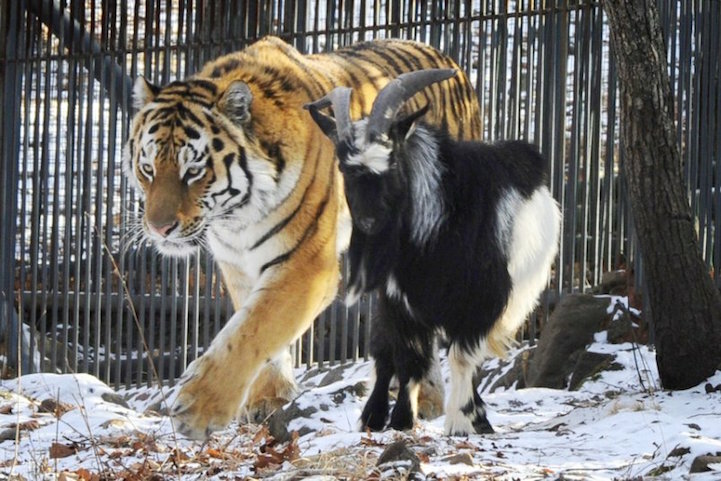 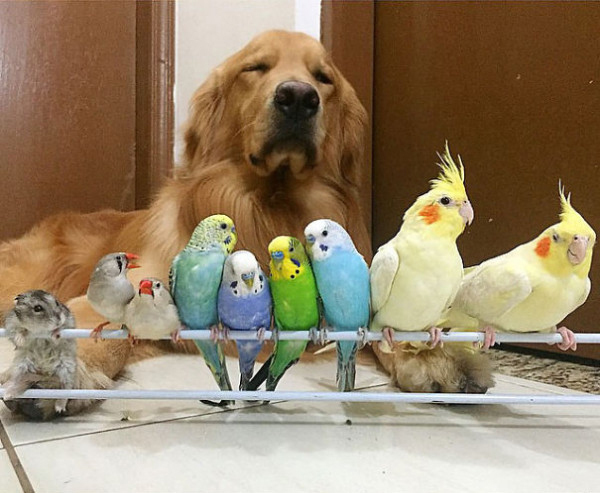 Do you remember when you were a child and you thought all animals were friends with each other and they hang out in a magical, other world? 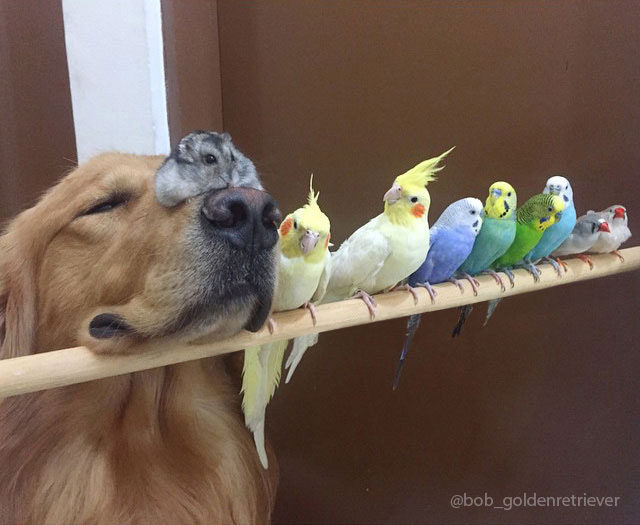 Well that’s exactly what’s been going on in Bob’s life. 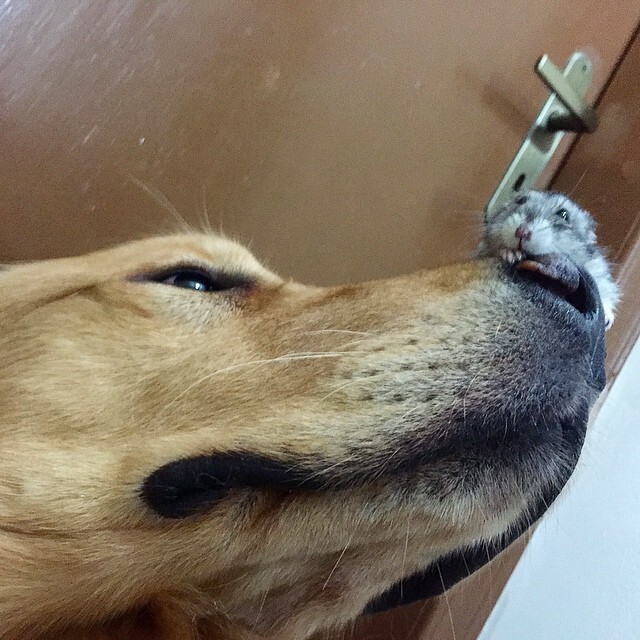 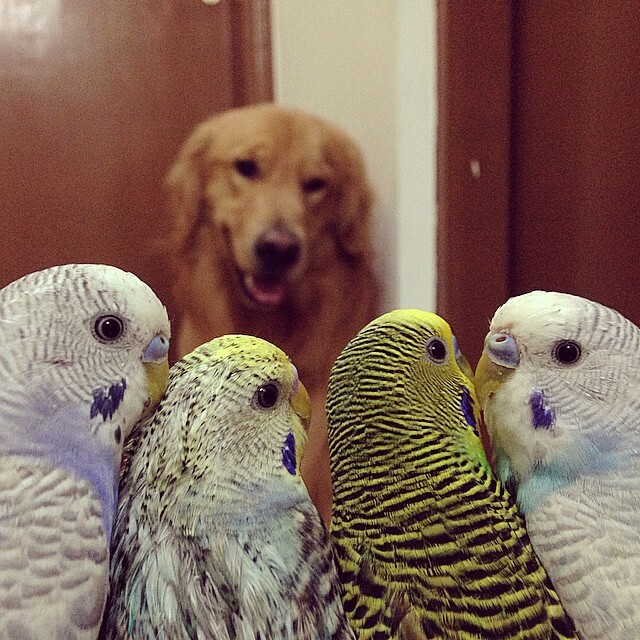 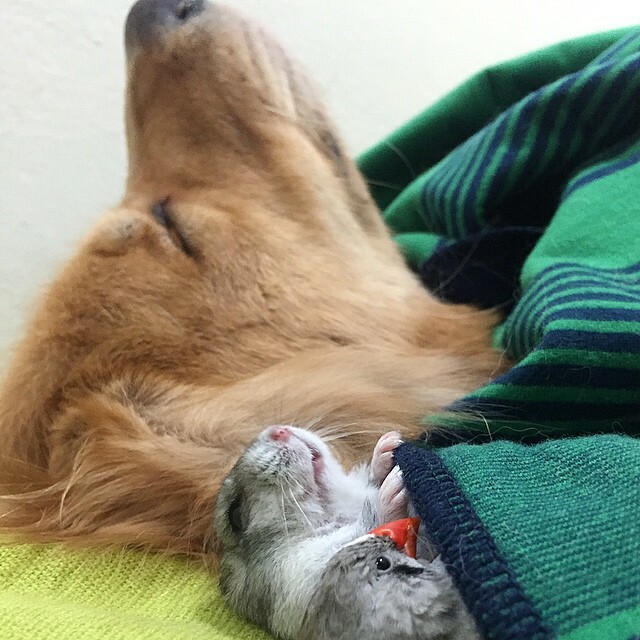 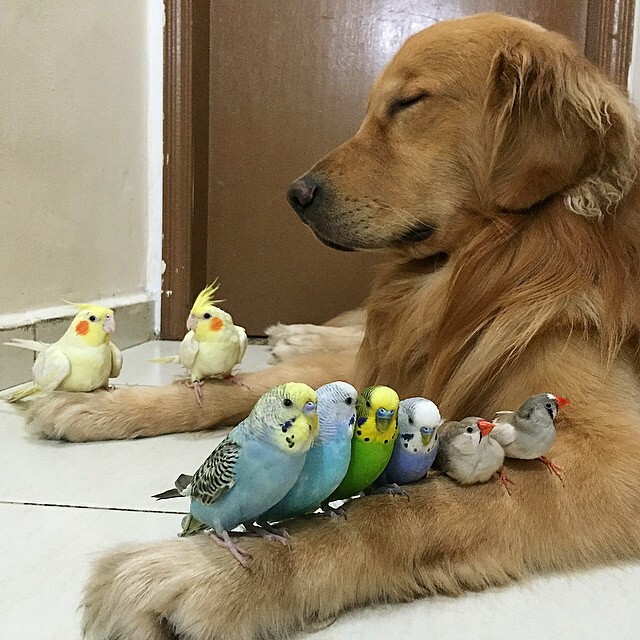 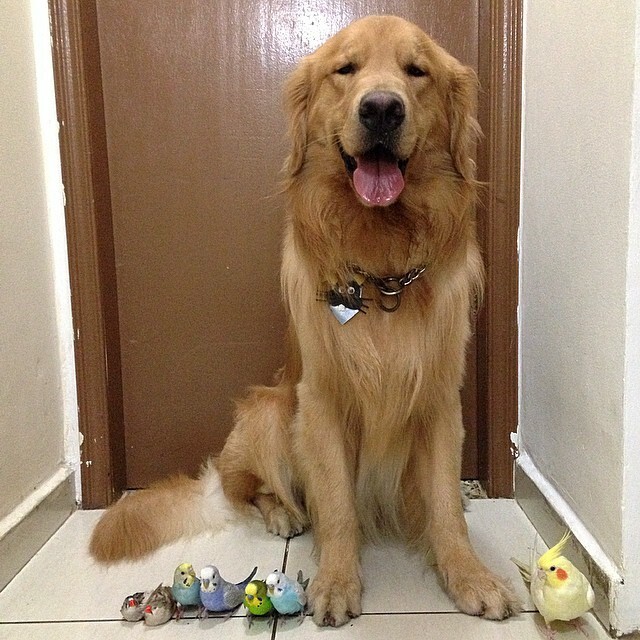 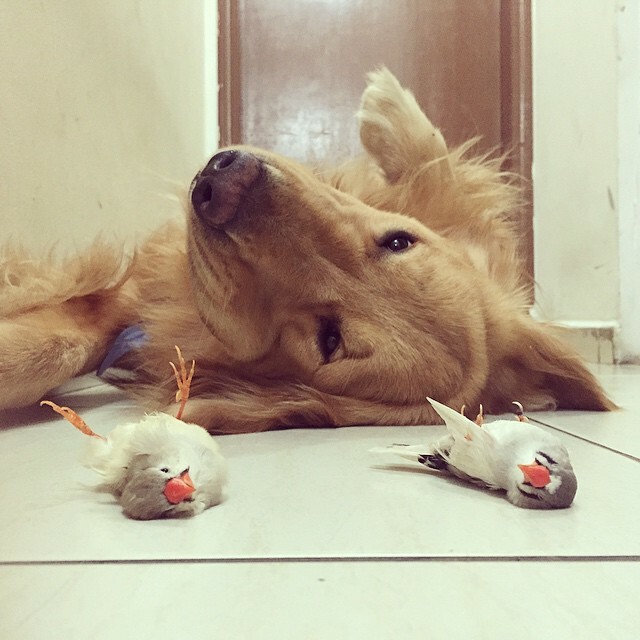 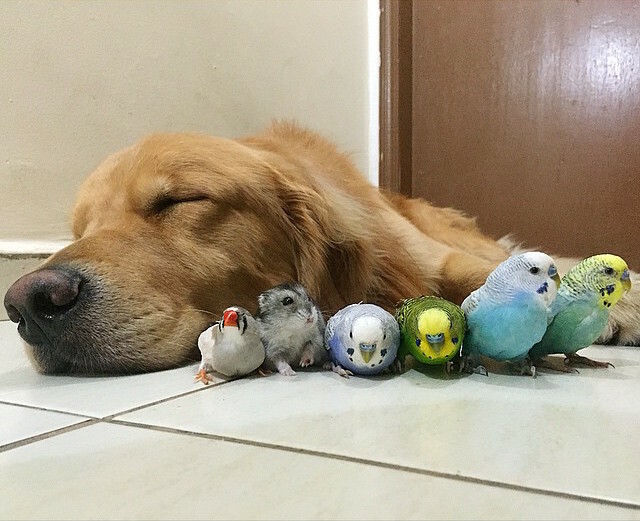 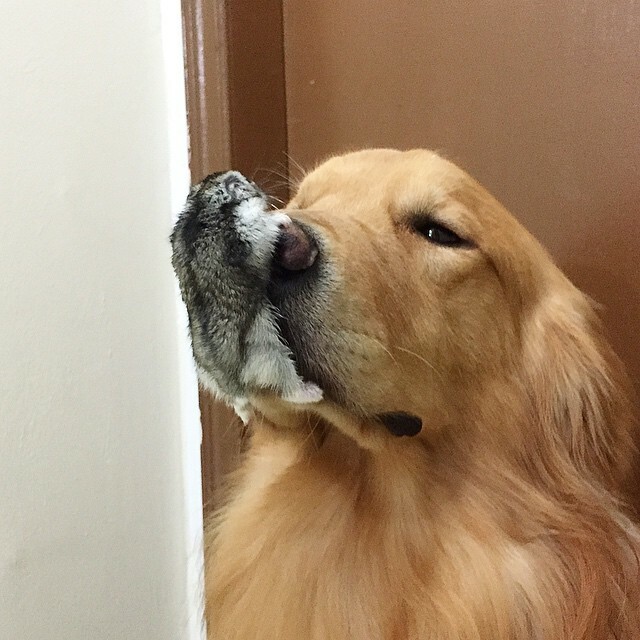 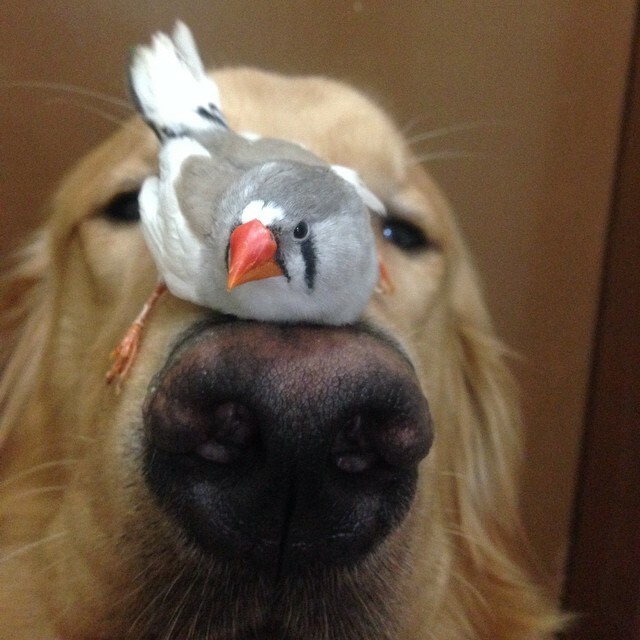 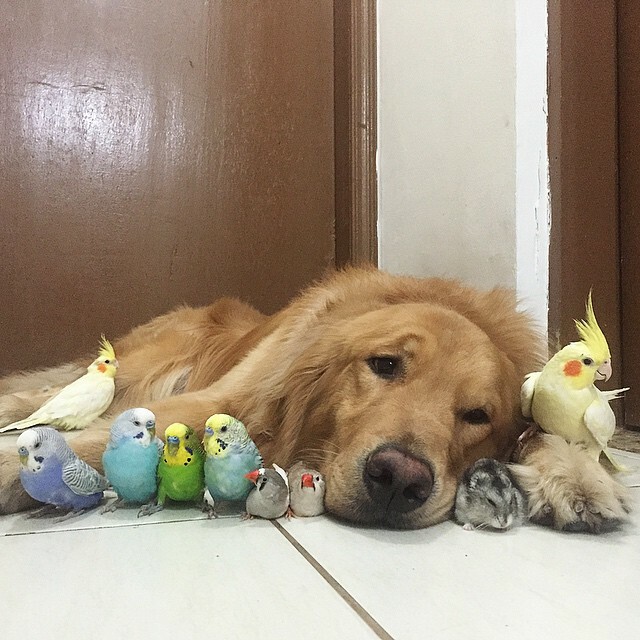 Bob the Golden Retriever has a family of many different, colorful birds, plus an adorable hamster. 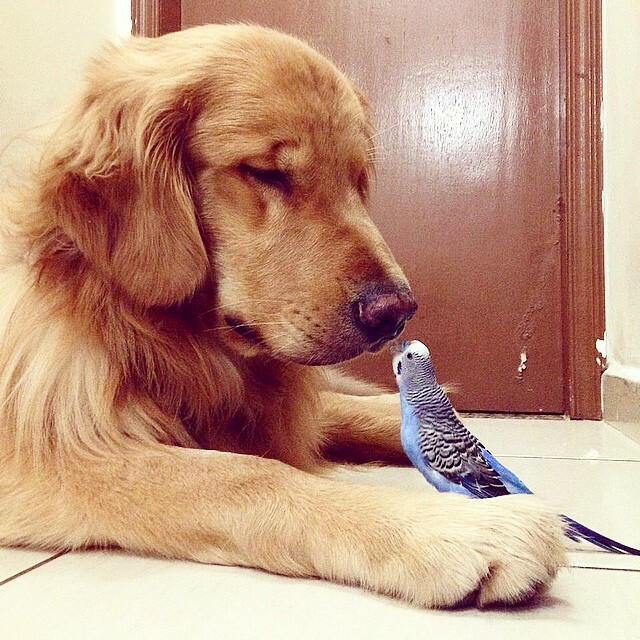 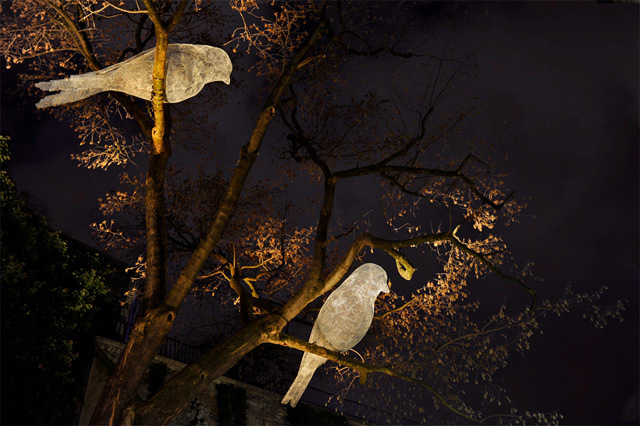 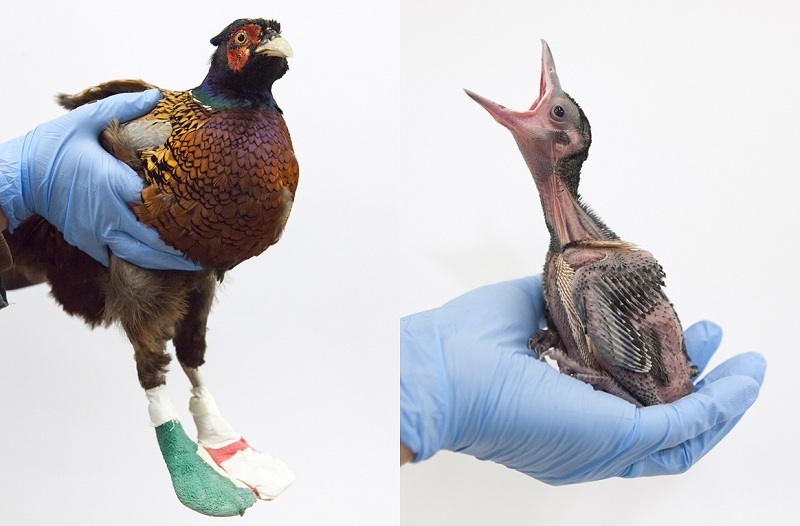 This delightful companionship doesn’t just live in the same house. 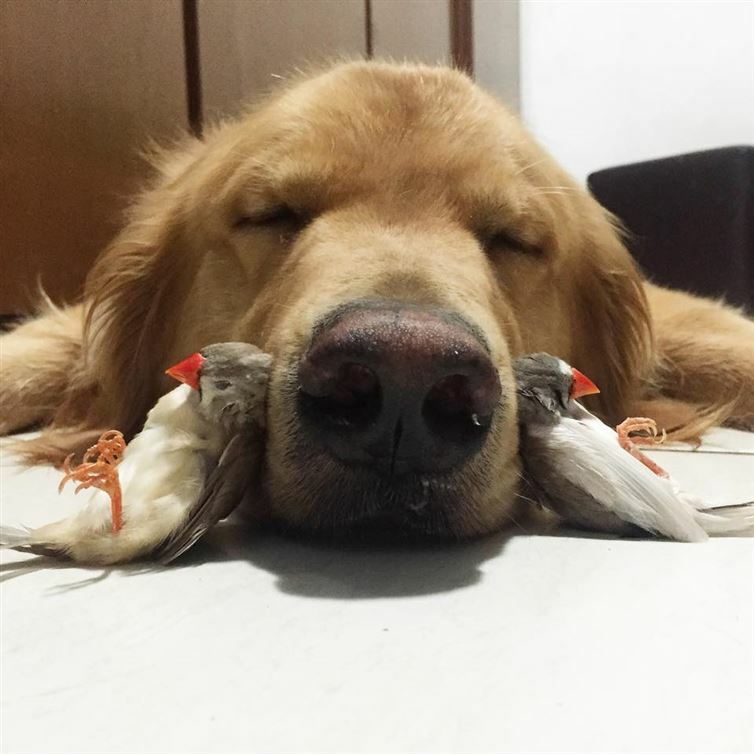 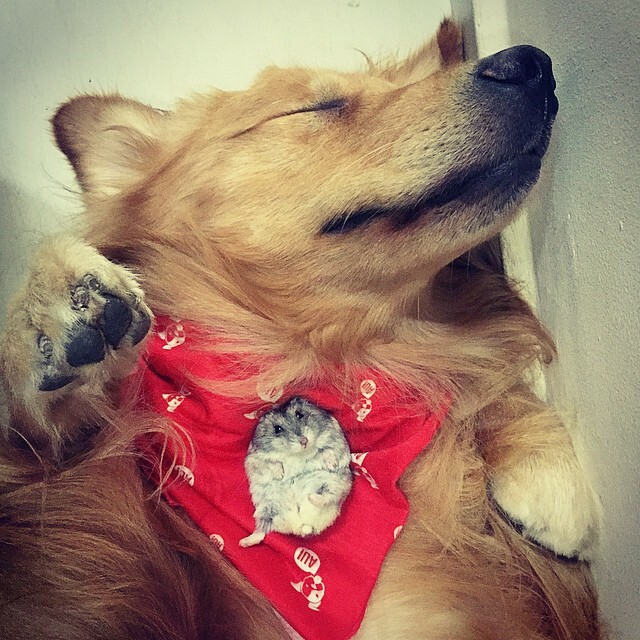 Bob and his friends sleep, cuddle and sometimes even play together, with the lovable Golden Retriever being always protective of and careful with his friends. 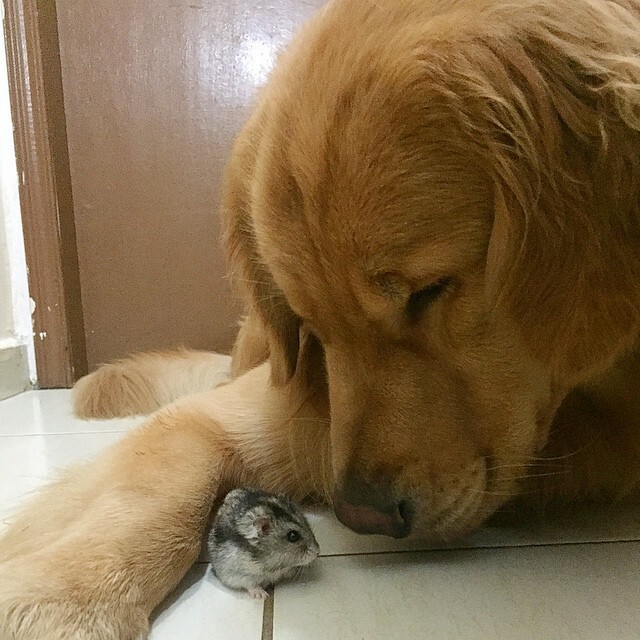 Seriously, doesn’t this gentle canine soul brake your heart with his big heart?